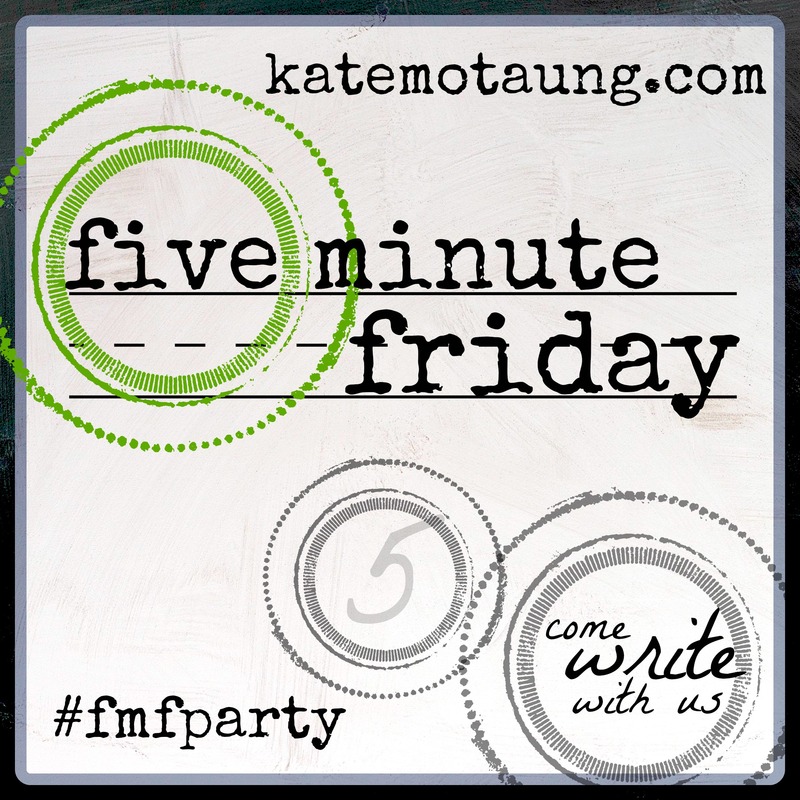 Hi and welcome to Five Minute Friday! This is a five-minute free write, hosted by Kate Motaung at heading home, and you're invited to "Come Write With Us." Click through the link to learn more. The writing prompt for today is READY. I am a list maker. My planner is full of our appointments and menu plans and everything I need to do. So things get done: the towels are washed, the floor is swept (usually), and the refrigerator is stocked. I'm ready. I am also an introvert. Many days, all I want to do is stay home and read. (Okay, I'll still do the laundry and make dinner.) I fight that because, even though I may feel like being alone, I know it's not the best for me. God knows that I'm an introvert, right? He made me this way! Yet He still keeps putting in front of me opportunities to stretch beyond my comfort zone. Last summer a woman in the grocery store started talking to me about menopause. Really. Somewhere I found the courage to step up and talk with her. This is SO not me, talking to strangers in the store. More recently, I saw someone in our church whom I'd never seen before. God nudged me to go talk to her. So I went over and introduced myself. Scary stuff. Even more recently, I met a woman who's new to our church. We chatted for a while--she is more extroverted than I--and we found some things in common. I invited her to the Bible study I attend, and this week she came. Way beyond my comfort zone, but all good. What I'm getting at is, though I'm not naturally outgoing, God prepares me for these moments. He makes me ready. I think He keeps giving me these opportunities so I'll have more practice. I wonder what opportunity He has for me next, but I know He'll make me ready for it. PS: A few weeks ago I told you about my husband's cousin "Sandy," who had terminal cancer. She passed away this week. She was 41 and leaves behind a husband and five children. If you are so inclined, please pray for comfort and peace for her family. Thanks for stopping by my blog! It seems we have a lot in common. I too love lists, I too would rather just stay home all day, everyday and I am an introvert! Loved your post! Wow! We have a lot in common, and our posts are even along similar lines. I too am an introvert who would rather stay home and read most days. Stopping by from FMF to say hi! I'm like that as well... I woods rather stay home and read or whatever. I'm also noticing that people are talking to me more and you're right it's in preparation for something. You'll be ready! ☺Great post. talking to strangers is brave now a days. we are always too busy it seems. making friends with our actual neighbors. i think thats how God intended it to be . way to be brave! Oh, I'm so sorry for the loss of Sandy from your lives. I'll be lifting her family up in prayer. And as to the introvert thing...yep, I'd much rather be in my cave and all alone, but somehow, I always feel better when I follow God's promptings to reach out and make contact with his other children.